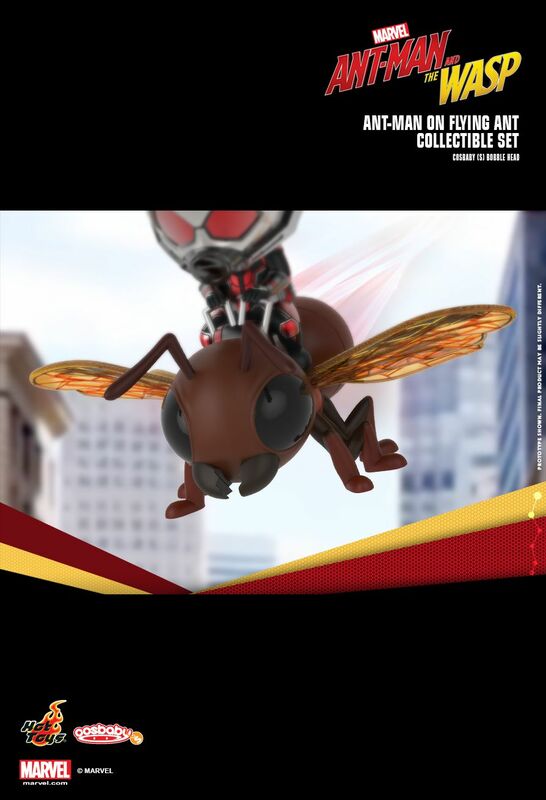 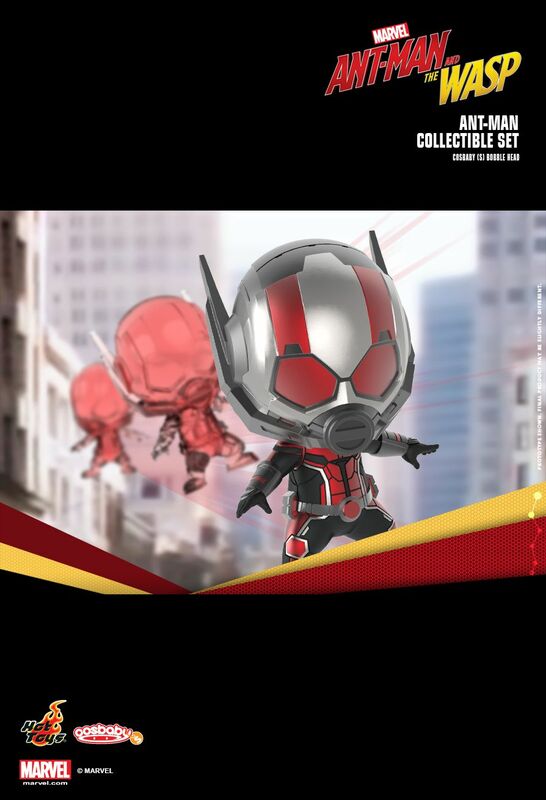 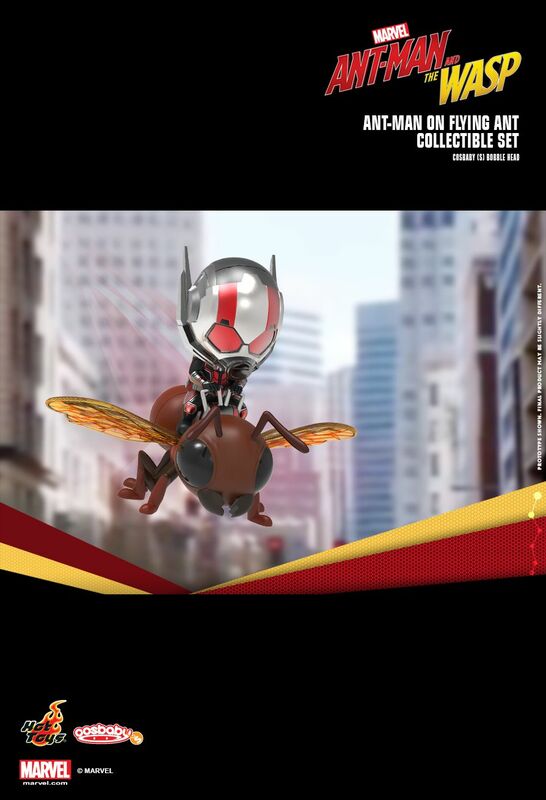 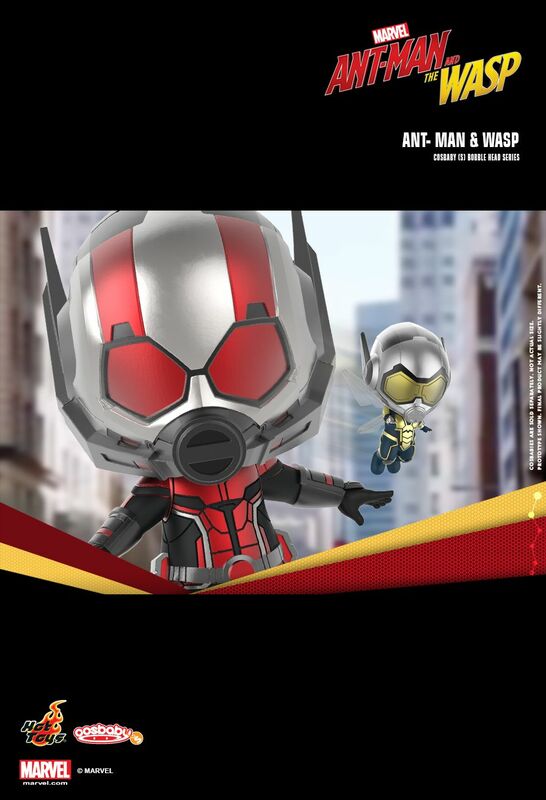 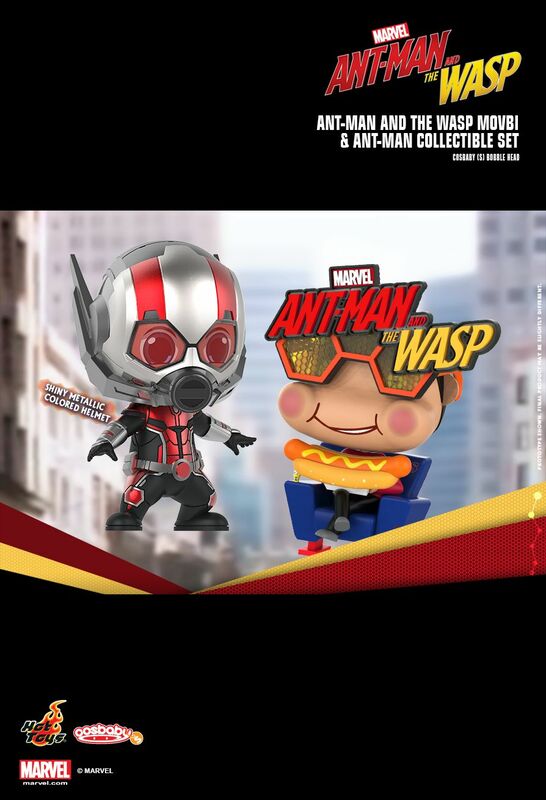 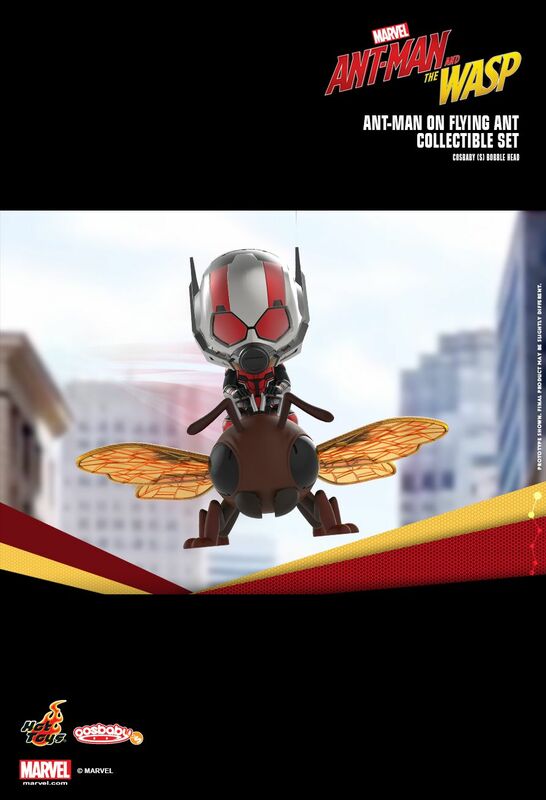 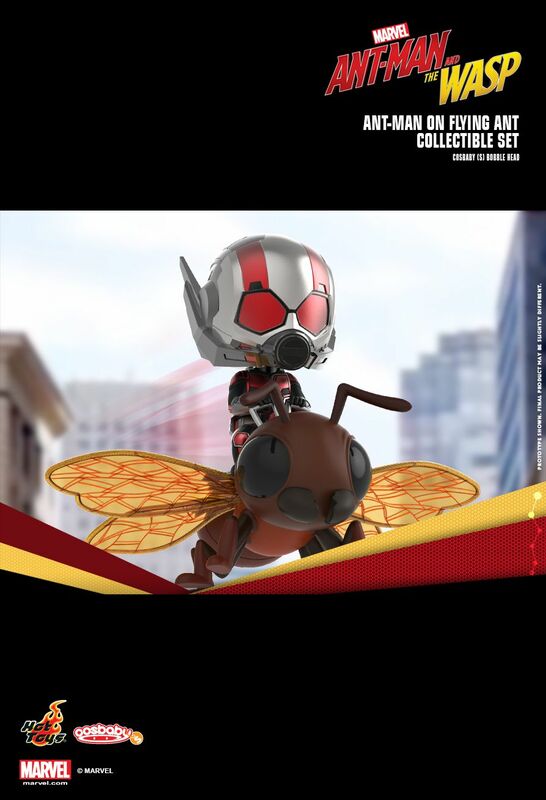 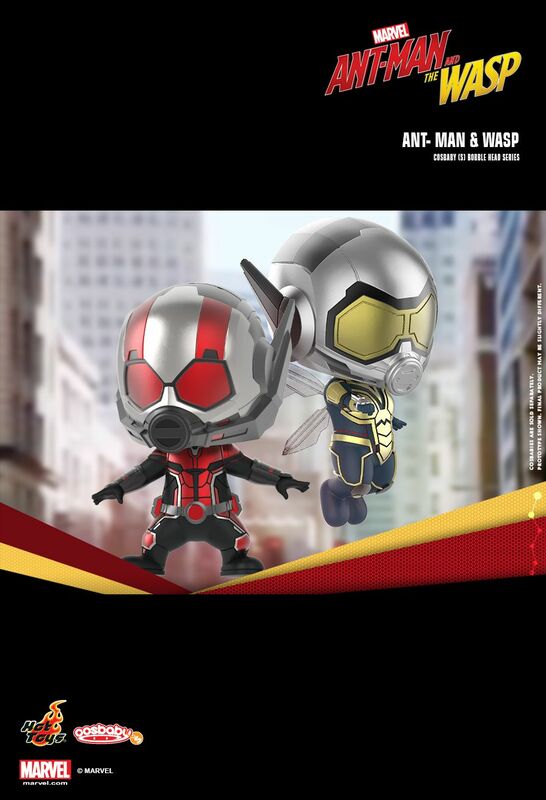 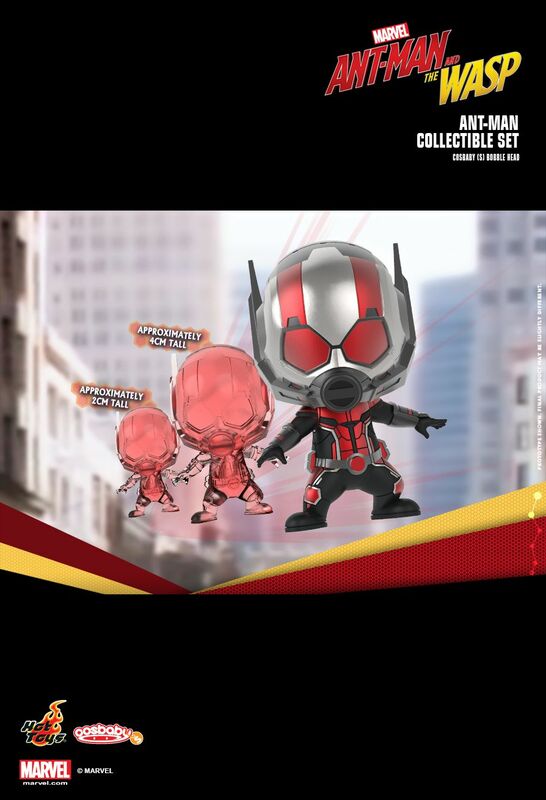 Fans will be excited to meet another exclusive set with Ant-Man on Flying Ant. 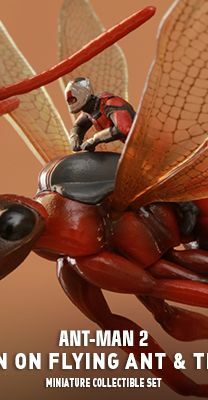 The microscopic super hero rides on his trusty steed, the giant winged companion and together they are heading to the dangerous battlefield for their final destination! 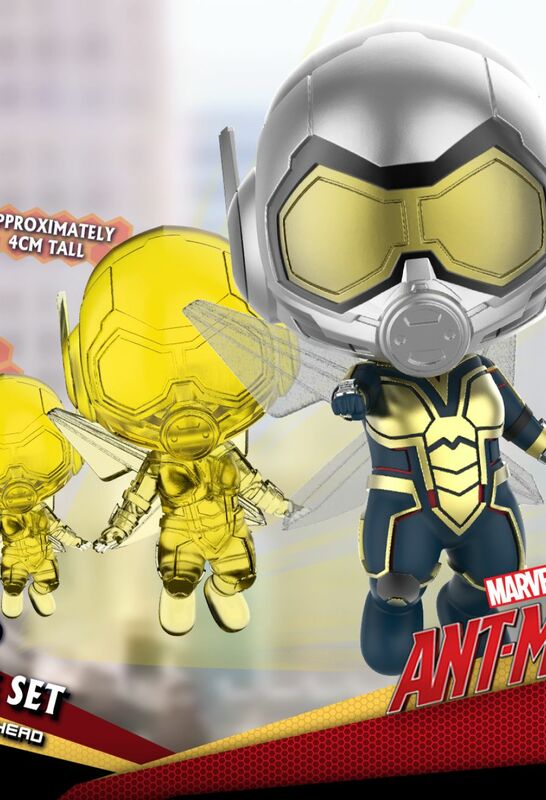 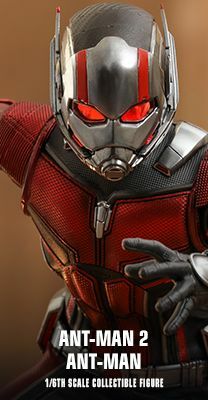 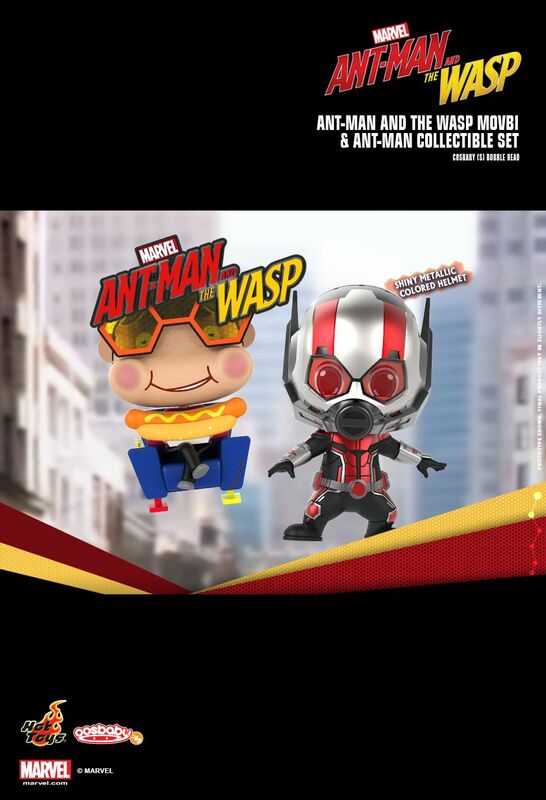 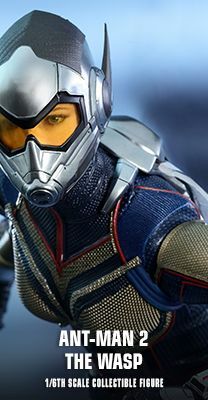 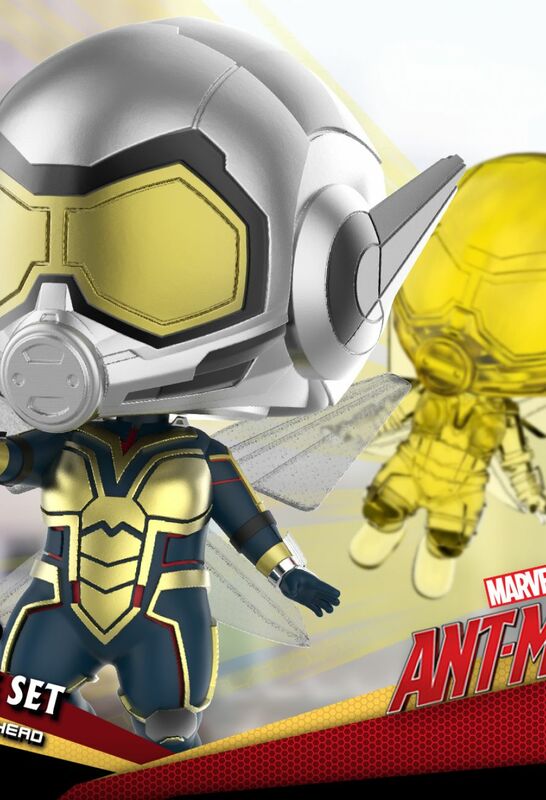 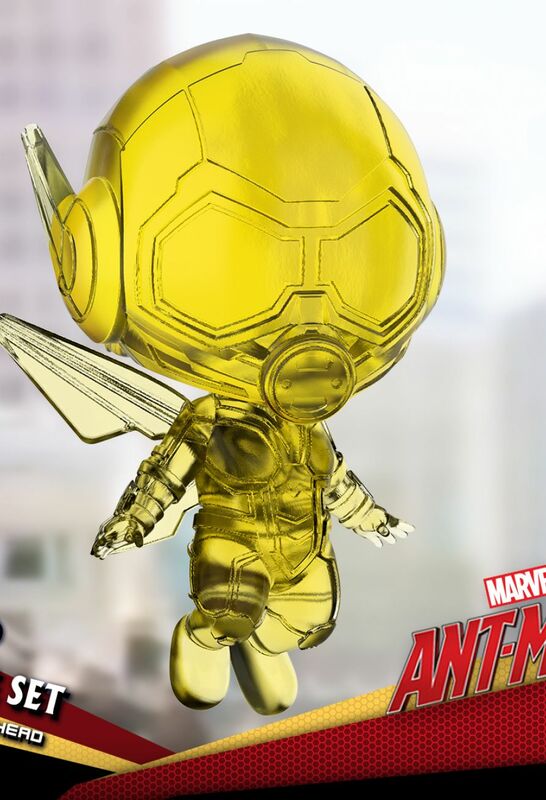 Last but not least, Hot Toys’ original character, Movbi wears a pair of honeycomb shaped glasses with a hotdog will come together in a special box set that features Ant-Man Cosbaby Bobble-head with a shiny metallic colored helmet. 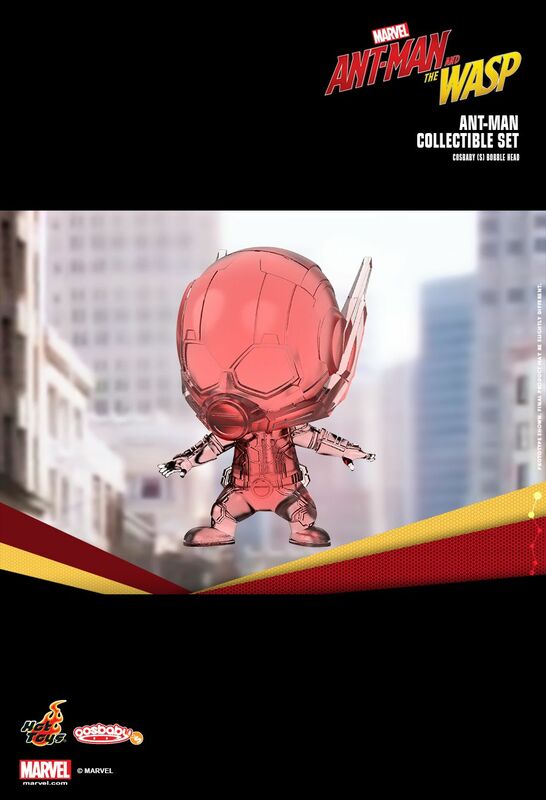 **Prototype shown is final. 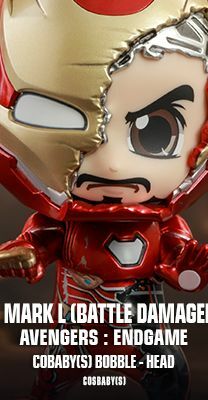 Final product may be slightly different.